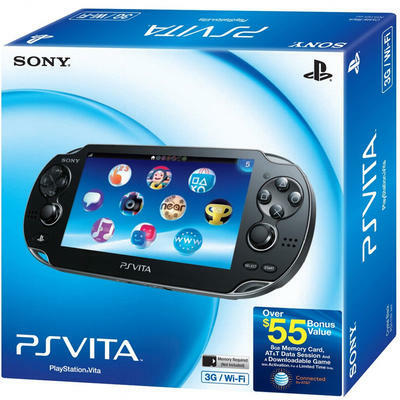 Right now, Amazon is hosting a sale in their video game store for the PS Vita’s official retail launch. If you buy any two PS Vita games from their selection of 15 titles, you’ll get a third game of equal or lesser value for free. Potentially, you could be saving around $40 when you snag three separate games. Target and GameStop are running similar deals as well right now, but Amazon has the largest selection of titles. If it were our money and our decision, we’d go with Uncharted: Golden Abyss, WipEout 2048 and Hot Shots Golf: World Invitational. But, hey, Rayman Origins and Lumines Electronic Symphony are also stellar picks from the launch lineup. Between those five games, honestly, you can’t go wrong. Will any of you be snagging PS Vita’s today? If so, and you choose to take advantage of Amazon’s sale, which launch games will you pick?